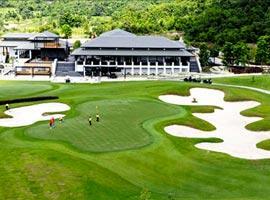 Going on a golf Holiday in Thailand? 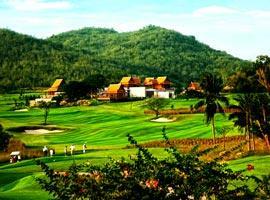 The championship Hua Hin golf courses as well as in sister town Cha-am are world class 18 hole championship courses and the ultimate destination in Thailand for enthusiasts providing the avid player with a choice of no less than 10 locations amid spectacular scenery. The Majestic Creek is a favorite among locals and visitors alike and is in access of 7000 yards, also boasting the longest hole at 770 yards. 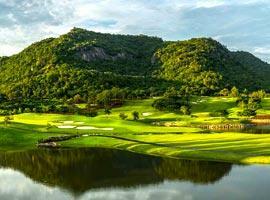 The Royal Golf Club is an 18 hole course allowing splendid views over the ocean while the prestigious Black Mountain has a reputation of being the best golf course in Asia. This impressive course is in prime condition and should be the first on your list to visit. Located in a valley, Banyan Tree has preserved much of the original land like creeks, trees and a small “mountain” range. Black Mountain has featured in Golf Digest's top 100. The course is located in a valley within touching distance of the “Black Mountains”, named after the large mountain rocks. Its design will see you negotiate a lot of water hazards on your way to trying to hit hidden greens. Once you’ve reached the greens, be prepared for some arduous putting experiences.